 Employment with Selland Construction - Selland Construction, Inc.
Selland Construction is an equal opportunity employer. Selland Construction Inc. is a privately-owned and operated company. We value our employees and provide excellent compensation packages. If you don't want to mail your application, you can fill out our online form below. You must fill out all sections of this application completely and honestly or it will not be accepted. Place "NA" or "none" in fields that do not apply to you. Thank you! Please list references that are not related to yourself. Start with your present or last job. *List all types of equipment operated including trucks, truck tractors, semi trailers, full trailers, and types of construction equipment. Indicate the nature of the work performed and the number of years or months operated. Were You Subject To Federal Motor Carrier Safety Regulations White Employed? Were You Subject To Dot- Required Drug And Alcohol Testing Requirements?